The Budadee Ranger Program is endorsed by the Palyku Native Title Working Party who have given their unanimous support for the program and for all future funding applications to third party sources. The Palyku Native Title Working party, through their Land Access Agreement with Atlas Iron, designated 100% of these funds to support the Budadee Ranger Program and provide compensation benefits to the broader traditional owners to protect the to protect the cultural heritage of the Woodstock-Abydos region. Atlas Iron is a strong supporter of the program and has provided in-kind assistance to the Budadee Rangers including on-country camping assistance and remote supplies. Atlas celebrated a Budadee-themed NAIDOC week in 2017 with three large art pieces exhibited at the Atlas Perth Office for a NAIDOC cocktail party. Terra Rosa Consulting, a professional heritage and environmental consultancy, has been Budadee’s capacity-building partner since the establishment of the Foundation. The strong working relationship between Palyku people and Terra Rosa, through heritage consulting work and community development projects, has meant that Terra Rosa was chosen to support the Foundation in its early incubation period through grant writing assistance, pursuing project ideas, land and environmental management planning and facilitating community projects. 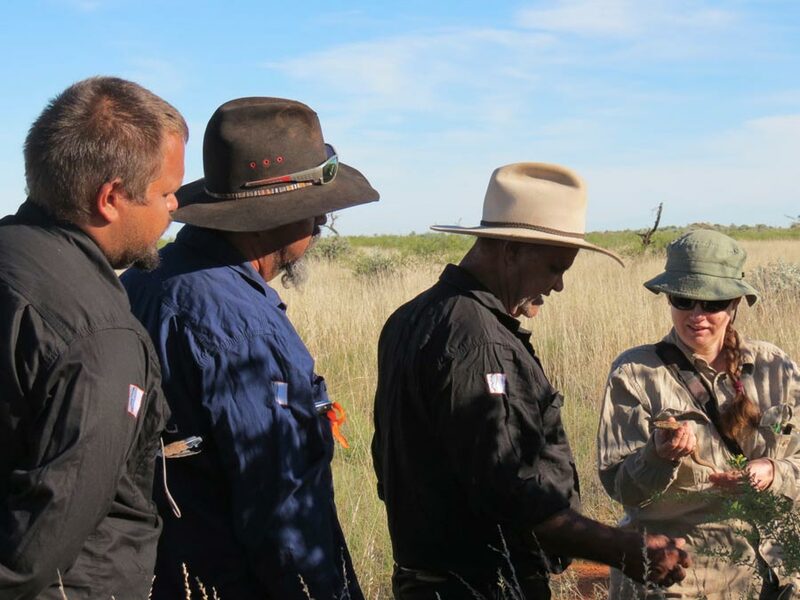 In order for the Budadee ranger program to become a sustainable business providing ongoing opportunities and employment for Pilbara communities the Foundation committee recognised the need to establish an independent enterprise arm. Registered under ORIC the corporation provides ranger expertise and support to Foundation activities.